One false move and the dinosaur will get you! 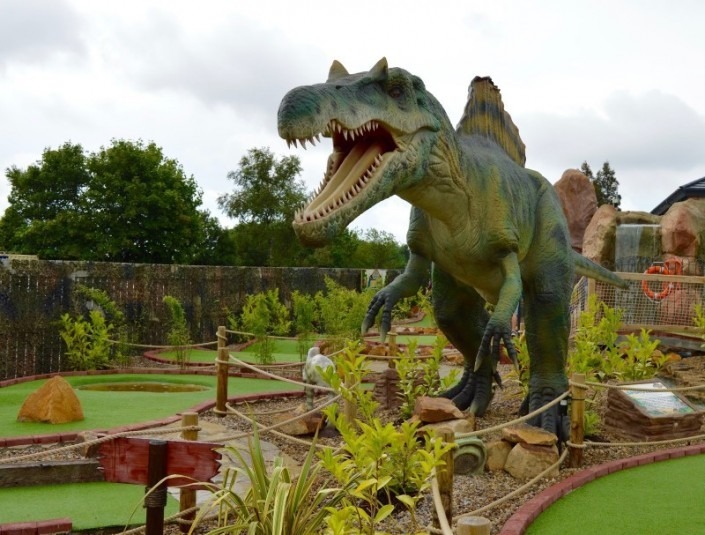 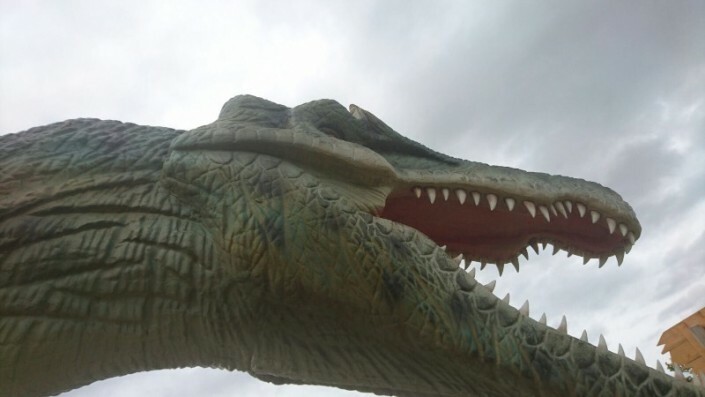 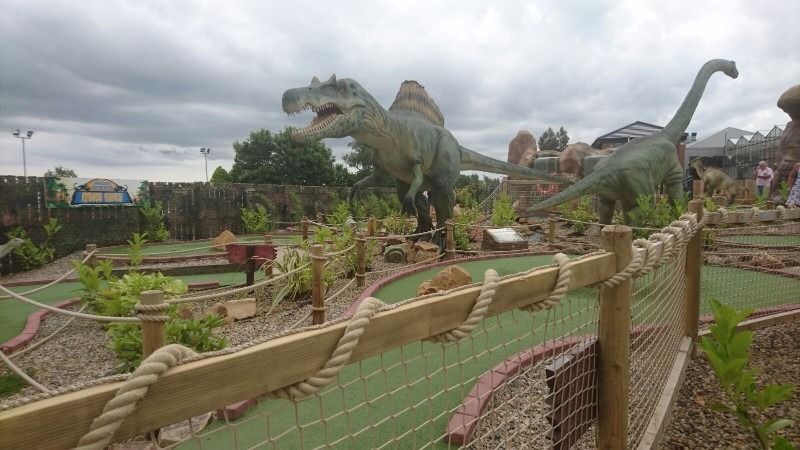 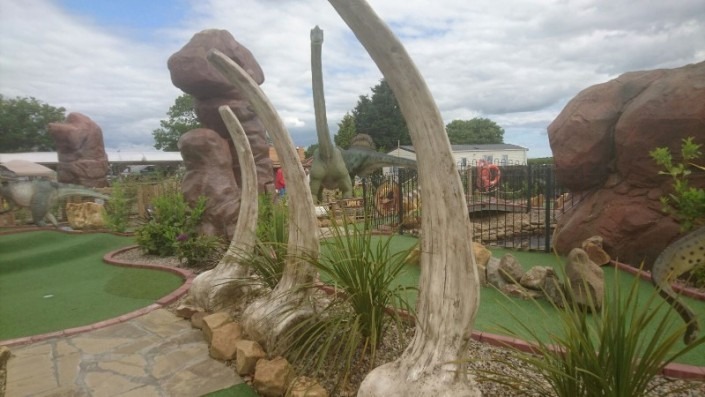 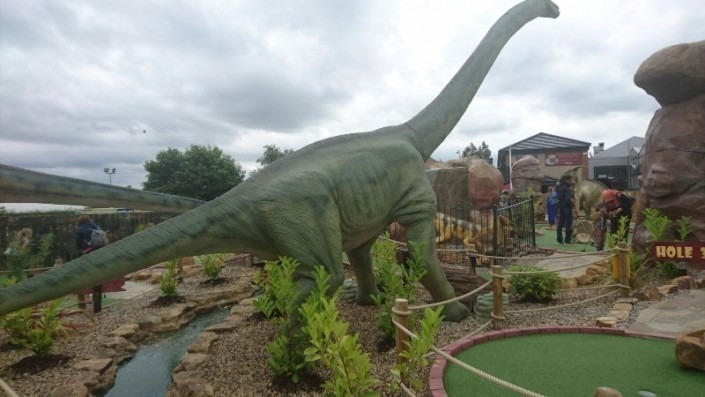 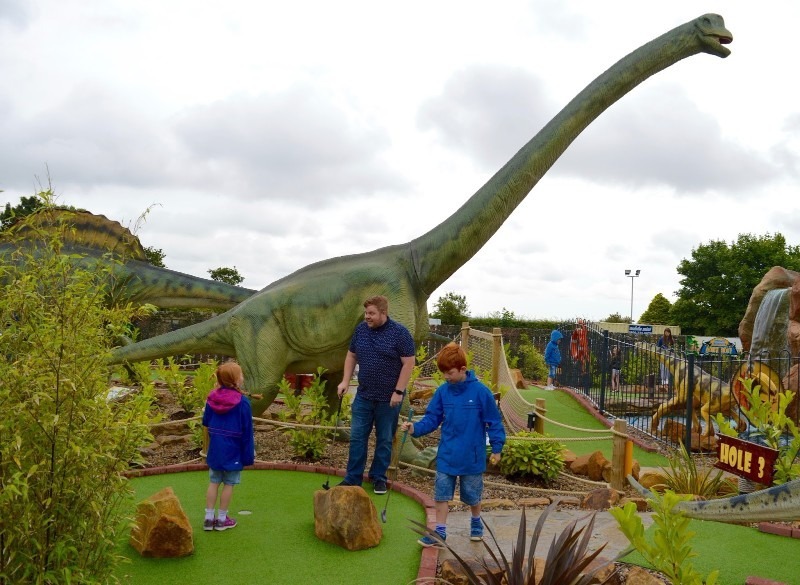 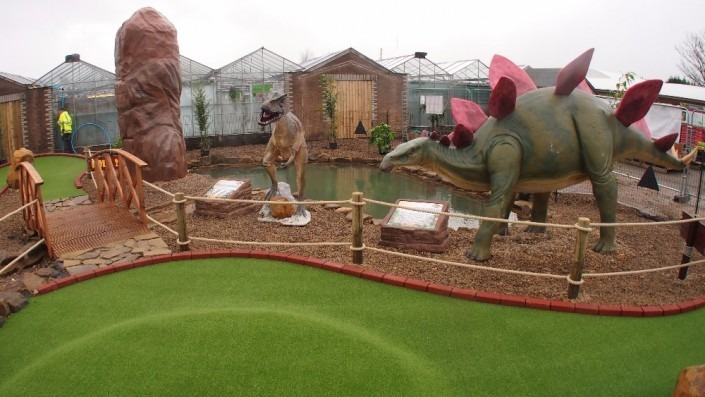 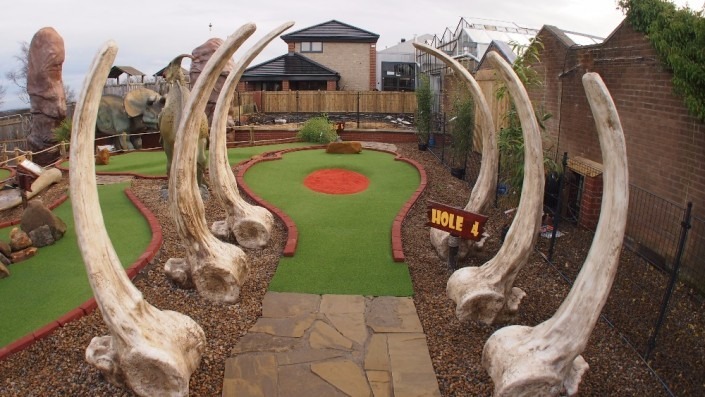 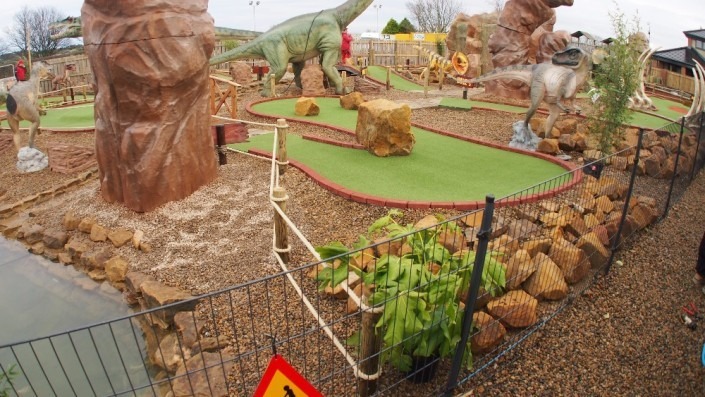 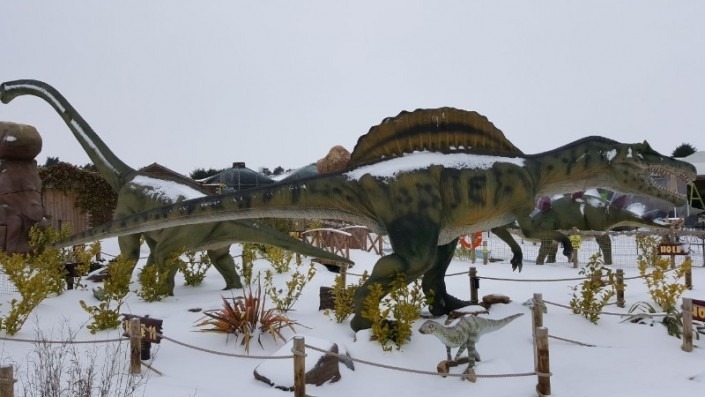 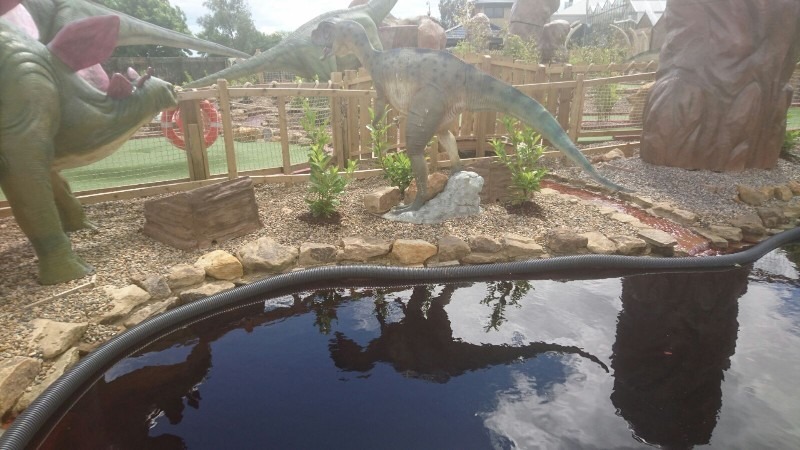 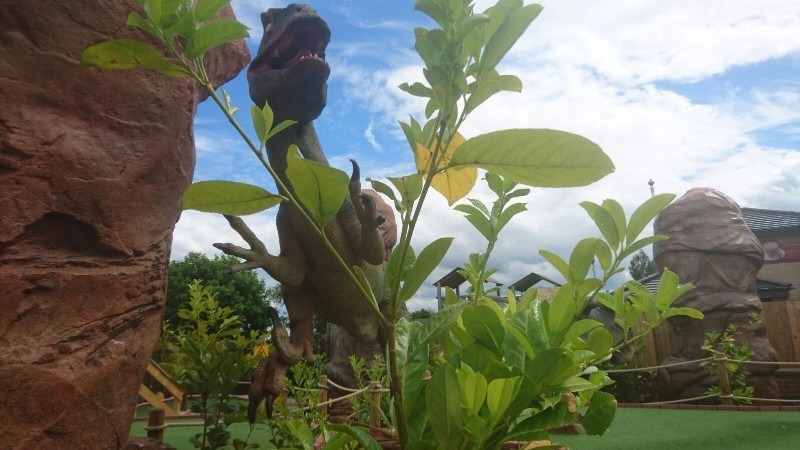 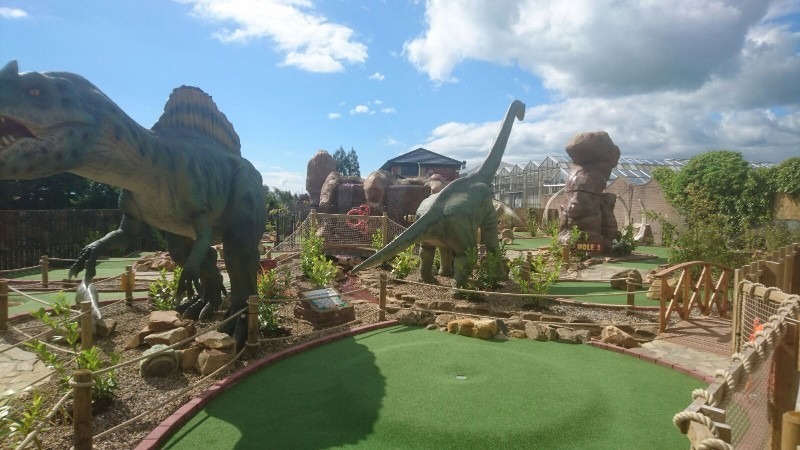 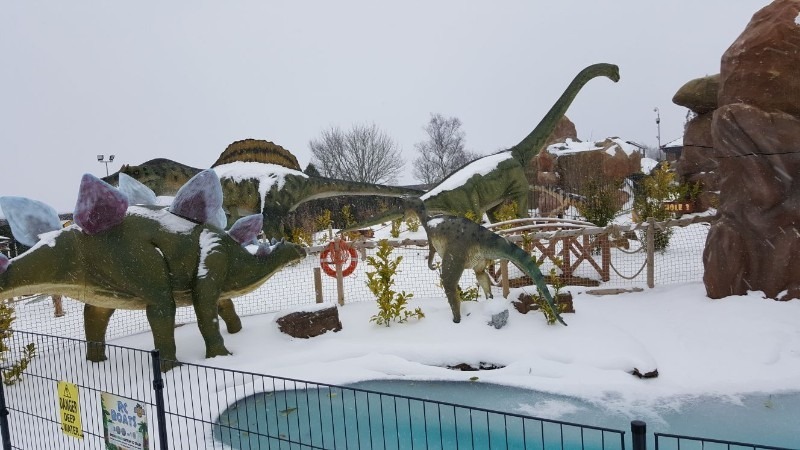 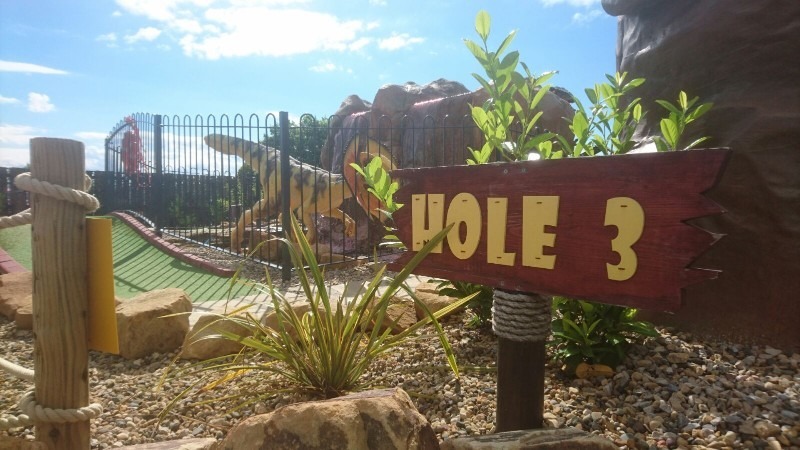 Pulling in visitors from across the Morpeth area to the Heighley Gate Wyevale Garden Centre, Dinosaur Encounter is treating golfers of all ages and abilities to hours of Jurassic themed fun and entertainment. 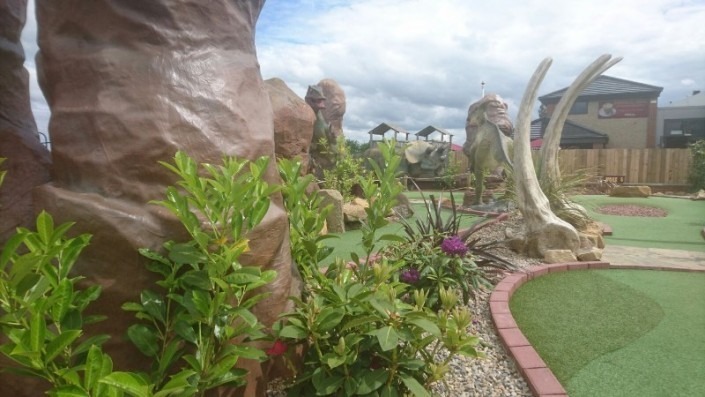 Providing 12 golf holes, designed to test the novice as well as the seasoned golfer, this amazing golf course is a sight to behold. 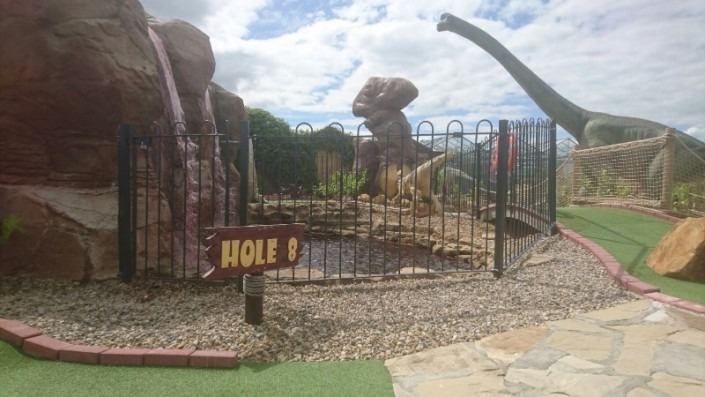 As golfers make their way around the course, they will see a selection of beautiful waterfalls and water features crashing down over Jurassic boulders and rocks. 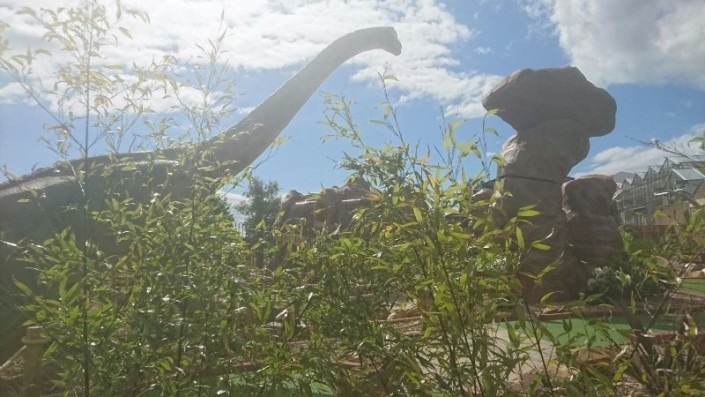 Shaded by looming palm trees, golfers will find that the abundant foliage hides more than a few secrets…as this is where the dinosaurs are biding their time. Featuring a host of life-sized, dinosaurs throughout the course, golfers will be delighted at the shock that our magnificent moving Spinosaurus and Brachiosaurus provide. 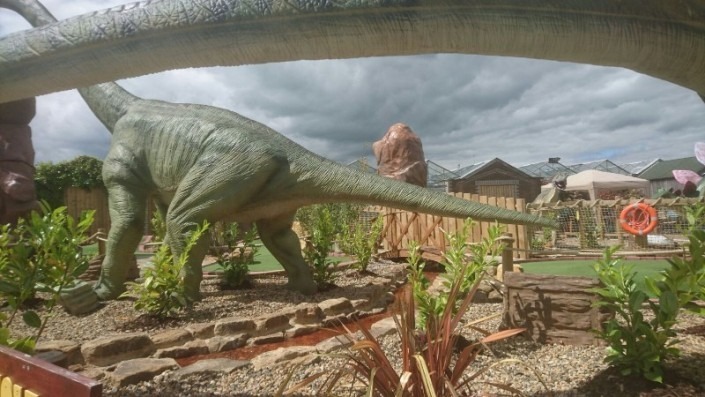 Dinosaur Encounter Morpeth is largely wheelchair accessible but is restricted in areas. 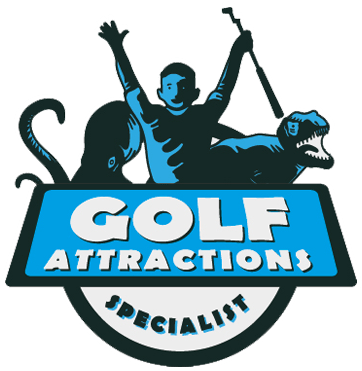 Please call for advice before making your trip. 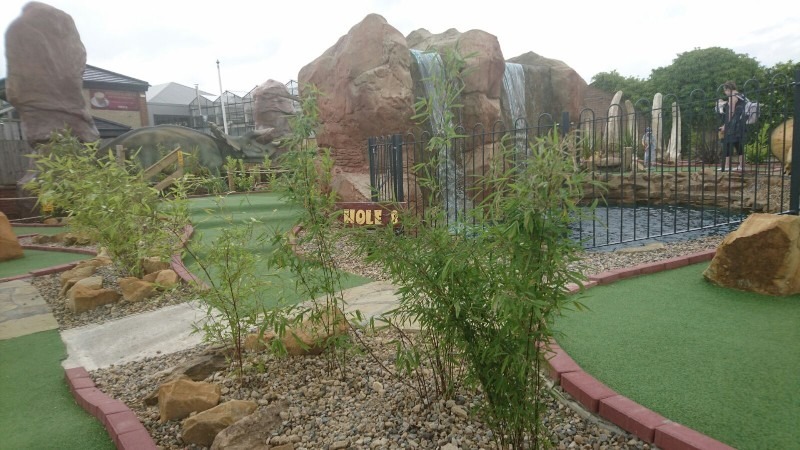 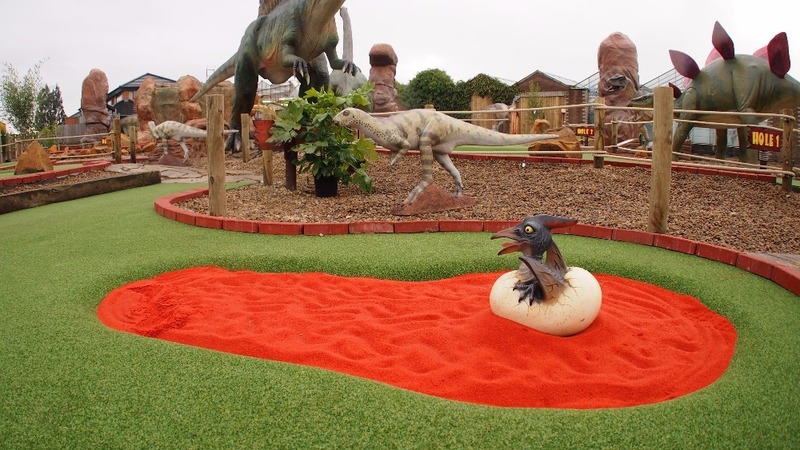 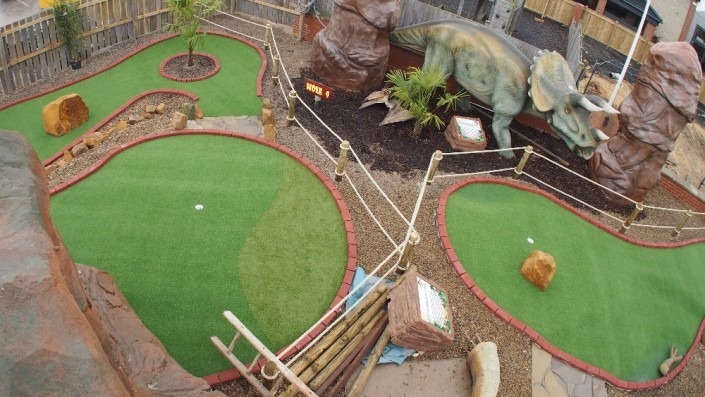 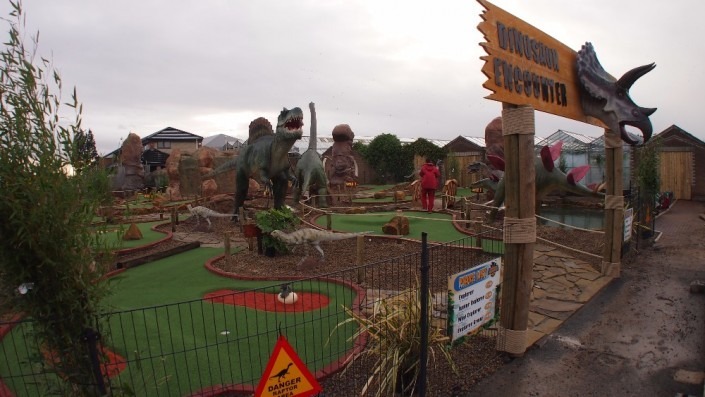 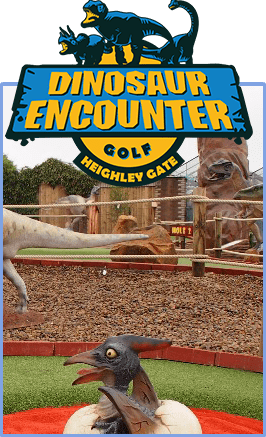 If you would like to try out Jurassic Golf for yourself, you will find directions to Heighley Gate Garden Centre here.